Join the adventures of Valiant's fl agship hero here with 64-pages of armor-busting action on the frontlines of the Valiant Universe in X-O Manowar's first-ever annual! 2016 is primed and ready to be X-O Manowar's most pivotal year yet! But before Aric of Dacia can confront the biggest threat Earth has ever faced, he must first reflect on the past?and the outcome of a bloodstained battle on the frontier of the Roman Empire that continues to be felt to this day! 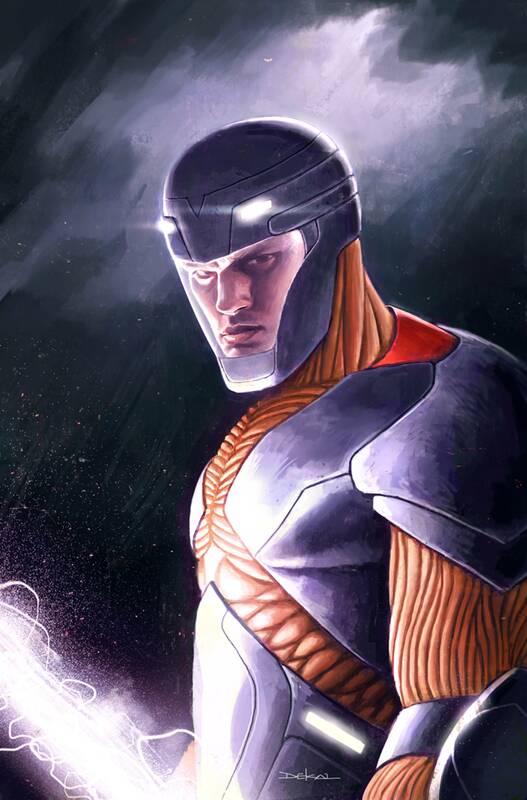 Then: X-O Manowar's sworn enemy, Commander Trill, readies for the war that is to come?by undergoing a life-threatening trial-by-fire that will test every ounce of his intellect and fury. Plus: Col. Jamie Capshaw must singlehandedly defend G.A.T.E from a menace nobody expected?and the Armorines begin an all-new mission at the heart of X-O Manowar's world!